A huge heartfelt THANK YOU goes out to all the fishing boat captains from Canada and the United States alike that won't admit to helping us with the research needed to fine tune our latest Attractor. Your secret is safe with us! Thanks again. The Captains reported 100% Success! We're very excited to share our newest addition! 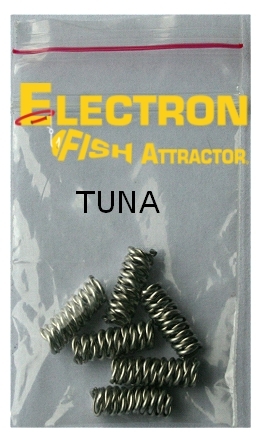 Electron Fish Attractor for Bluefin Tuna and Yellowfin Tuna. Use 1 for bait, Use 2 for lures. It was great getting out on the water and take a break. I have to say the fishing was great for us but not so much for allot of people I talked to on the way in. Some were extremely knowledgeable anglers and should have finished hours ago. Most said they caught a few fish early and then nothing. It’s the most frustrating feeling to watch other boats pounding fish all around you and you can’t buy a bite. Most of the time we can write this off to inexperience but when it happens to seasoned anglers there is obviously something wrong. If you’ve fallen into this category and don’t know what to do, here is Rick’s list of possible problems for fresh or salt water fishing. Painted black ball with brass alloy eye, gives you 30 minutes before it repels fish. Lead ball with stainless eye, gives you 6 to 8 hrs. Latex coated ball with twine leader, indefinite use. Check your balls:Cannon Balls should have an expiry date, this is when they become batteries producing so much electricity they repel fish. 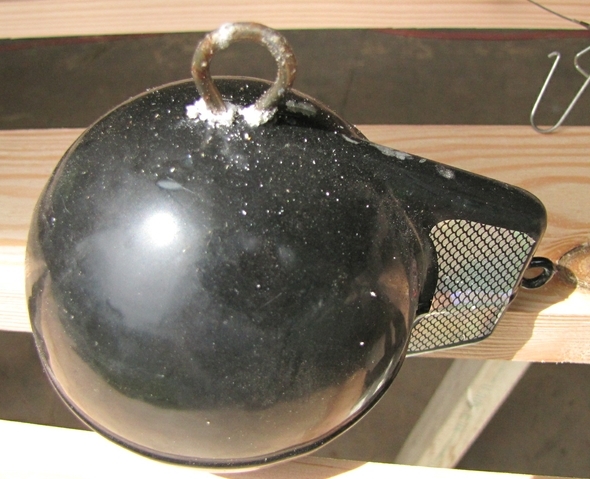 Do NOT buy cannon balls with brass, copper, aluminum or any other soft metal eyes. Any soft metal touching lead will cause a reaction and start producing electricity. Most of these will give you about 30 minutes of fish attracting EMF then they progressively get too strong and repel fish. Rubber coated cannon balls can be worse if they have soft metal or brass eyes and any metal is exposed to water these will give you about 20 minutes of fishing before they start repelling fish. Buyer Beware: Buy and use only cannon balls with Stainless Steel eyes. These still produce electricity but give you about 8 hours of fishing before they give off a weird EMF that repels fish. Unfortunately they are hard to find. Every time I check out the tackle section of the big box stores all I see are brass or aluminum eyes on all their cannon balls and weights. Lengthen the life of your balls: Drying and letting rest for a few hours will stop the ionization of the metals until you use it again. Using oil, like X10 will help dramatically; make sure the ball is dry before you apply it. I coat my balls with latex rubber. Tie a short piece of twine to the ball and give the whole thing 3 coats of latex rubber. If no metal is exposed to water there is no EMF = No Problems. Terminal Tackle: No Brass: Make sure all your terminal tackle is good quality stainless steel. No brass. This combination gives off a weird EMF signal fish don’t like. No Rust: There is such a variety of hooks out there it’s hard to know what to buy. Heinz 57 alloys produce a weird EMF that fish don’t like as does tempered high carbon steel in salt water. Manufactures know this and coat the hook with a rust inhibitor that reduces the EMF to minimal but the minute the coating is compromised ionization starts with earnest and will soon repel fish. I buy stainless steel for salt water use and test them in a sea salt paste. If rust occurs in the first 24 hours don’t use them. They are hot! You will get a couple of hours of fish catching ability, if no rust occurs in 24 hours they are perfect and can be used indefinitely. Brass and Aluminum: Should never touch salt water. Like most outboard motors are loaded with brass nuts and bolts. These create a huge EMF field that fish hate. Newer outboards are notorious for this. They rely on a thin coat of paint to isolate the brass nuts from the aluminum frame. In time the paint deteriorates due to ion transfer and the motor produces more EMF than your zincs can handle. So guess what? The whole dam thing is a battery and if it’s mounted on aluminum boat now you are amplifying it. Keeping the surface greased with an anti corrosion spray will give you about 12 hours fishing before the whole rig gets too hot to catch anything. The same principle holds true for fresh water but the difference is you get more fishing time before your gear starts repelling fish. Fresh water has infinite variables when it comes to EMF’s depending on what dissolved minerals are present in the water. Every lake and river has its own EMF signature. When fresh water has less than 50ppm of TDS none of this matters. Water this pure poorly conducts electricity. Zincs – clean all your zincs regularly. Remove if possible and remove all white corrosion then re-install or replace with new ones. Heavy corrosion will not let the zinc do its job. Loose wires – always check for any loose wires as this could put out a huge EMF field. You’ll never catch fish until it’s fixed.